At some point this year, life will be forever changed for nearly 1.7 million people in the United States. That’s because, according to the American Cancer Society, an estimated 1,688,780 new cancer cases will be diagnosed in 2017. It’s a staggering statistic, but one that hits home for Barbara Hanson. A cancer survivor herself, Hanson lost her sister Mary, neighbor Joan and cousin Rita all to the disease in 2013. For six years, Hanson has taken part in the American Cancer Society’s Relay For Life, the organization’s signature fundraiser that brings together more than 5,200 communities in 27 countries. The team-oriented fundraiser is centered around a six- to 24-hour walking event, with at least one team member always walking a designated path to symbolize that cancer never sleeps. Relay begins with an opening ceremony, followed by a survivor ceremony, recognizing survivors as they make their way around the track. While the day is a celebration filled with music, activities, games, theme laps and more, it also remembers those lost to cancer and honors those still fighting with a Luminaria Ceremony at dusk. During the ceremony, bags decorated in honor of loved ones light up the pathway. 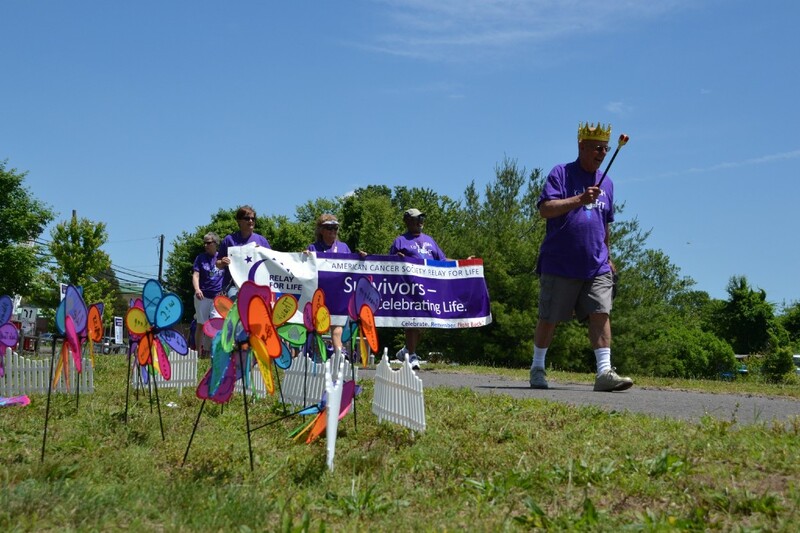 This year, Hanson is serving as the volunteer event lead for the Relay For Life of Camden County, which will run from noon on Saturday, June 10, until midnight at Veterans Memorial Park, 1261 Chews Landing Road, Gloucester Township. She said it’s an opportunity to become part of something great. Gloucester Township Council Vice President Tracey Trotto started Relay For Life of Camden County — which until this year was known as Relay For Life of Gloucester Township — eight years ago. Trotto was a participant in Relay For Life of Medford for many years, and when the American Cancer Society staff realized she lived in Gloucester Township, they asked if she would be interested in starting an event in her hometown. She hopes rebranding as the Relay For Life of Camden County will unify more people. “We have the opportunity to bring many communities together to work as one to fight back against cancer,” Trotto said. Hanson agreed, noting the rebranding opens up enormous potential for the American Cancer Society. American Cancer Society Community Manager Alex Basseches expects the Relay For Life of Camden County to reach and perhaps even exceed its $60,000 goal. Basseches explained that, while a lot of the money goes toward research and finding a cancer cure, it also supports patients and caregiver programming. This includes everything from American Cancer Society Hope Lodges, which give cancer patients and families a free place to stay while receiving treatment, to the society’s Look Good Feel Better program, which provides free seminars, wigs and more for cancer patients.